When Deadpool hit the movie theaters earlier this year, it shattered box office records. When it was to be released to the home audience, the question to Fox Home Entertainment was how to maintain that momentum. The movie is an action-packed, irreverent and humorous adaption of a comic book series. What made the movie successful on the screen was put into play for the promotion. Tapping into social media, Fox sold the Digital HD and Blu-ray release through clever trailers, face-changing graphics and social interaction starring, of course, Ryan Reynolds. 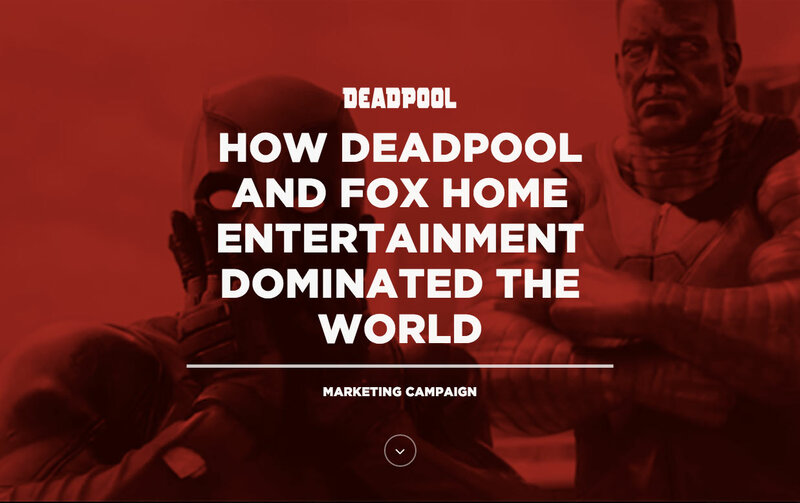 With 200 million social impressions and an extensive organic media coverage, Deadpool is Fox’s best performing HD title.